These 92% natural gas heating systems offer greater energy savings and improved comfort over older, less efficient systems. All furnaces in this category meet the tax credit standards for the federal Stimulus Program. High efficiency, natural gas heating systems may reduce any price advantage of lower efficiency systems. A 92% efficient gas heating system offers approx. 20% energy savings over a standard 80% system. 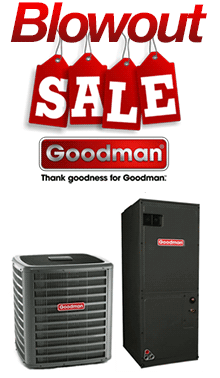 Choose from Fedders, Ruud and Goodman natural gas heating price options. Select from upflow, downflow, or horizontal furnace configurations.